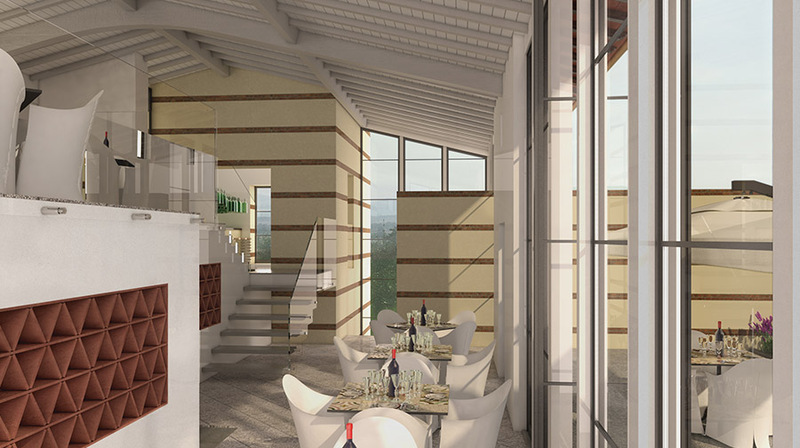 To be completed 2018. 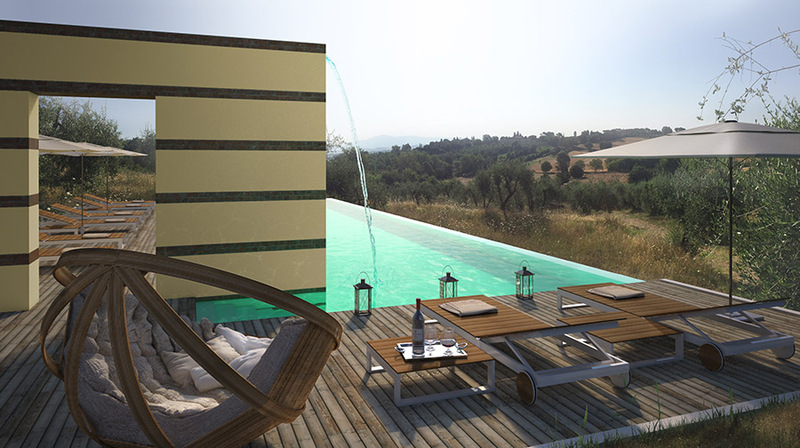 A complex of 12 one and two bedroom cottages with a communal pool, a bar/restaurant. 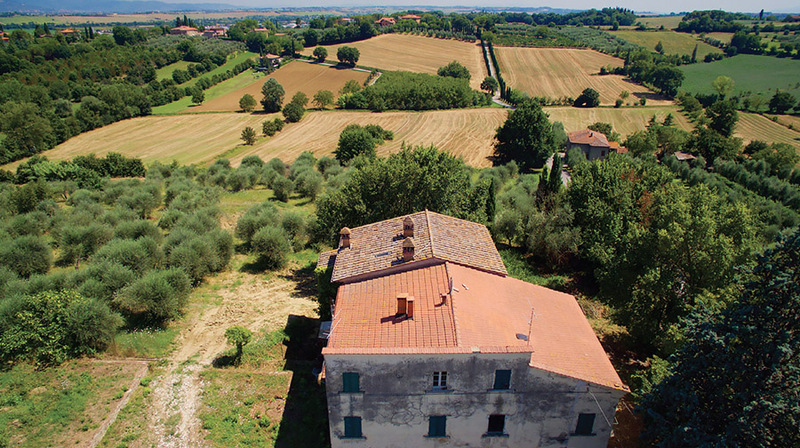 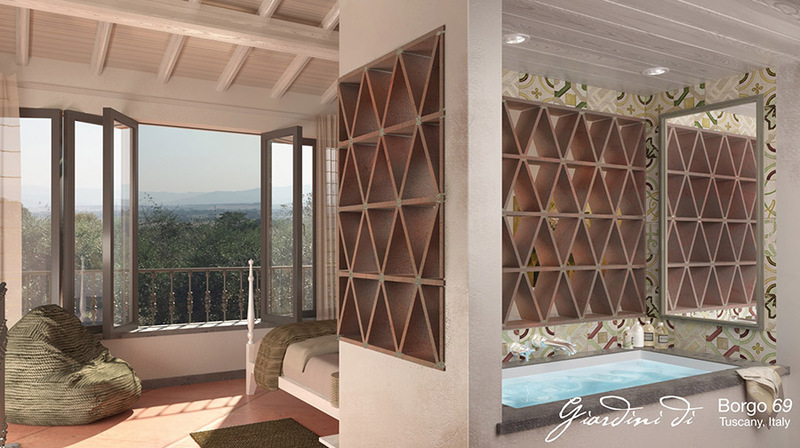 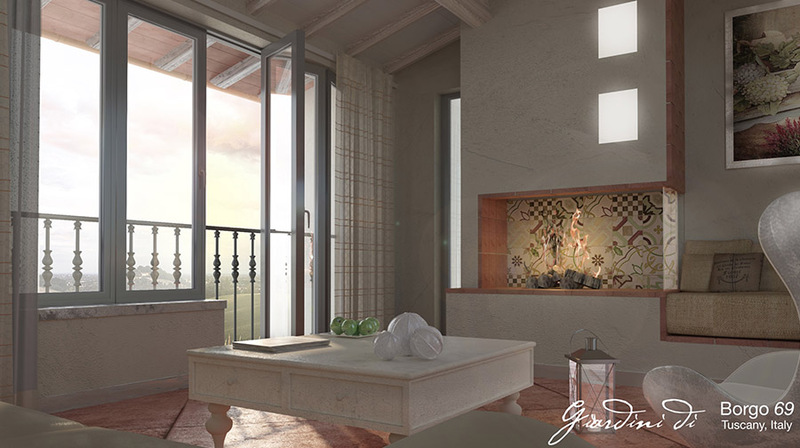 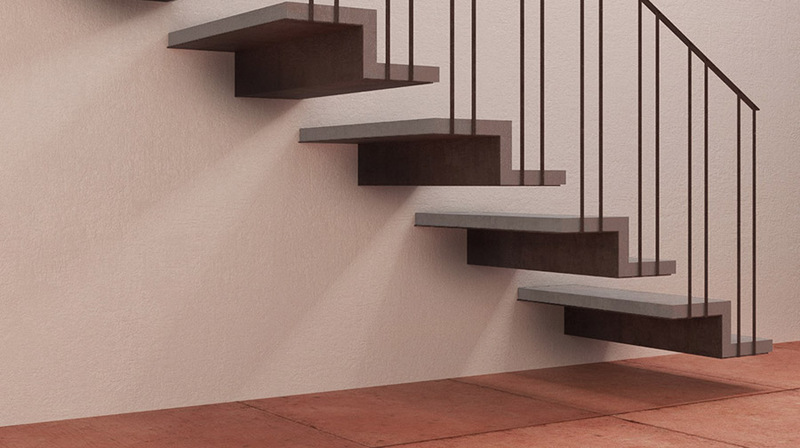 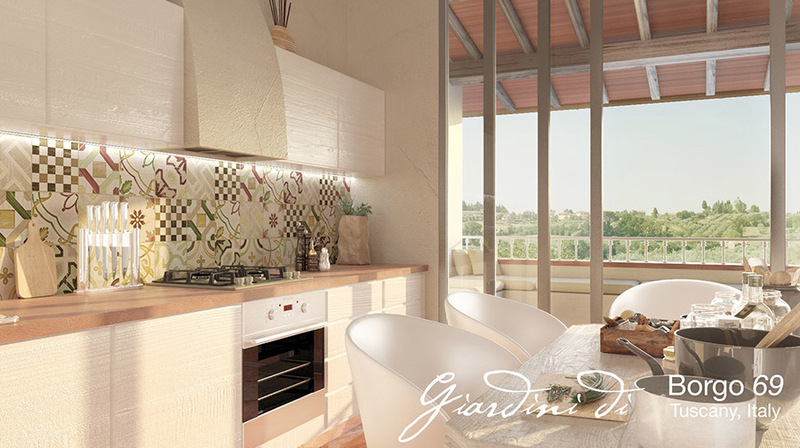 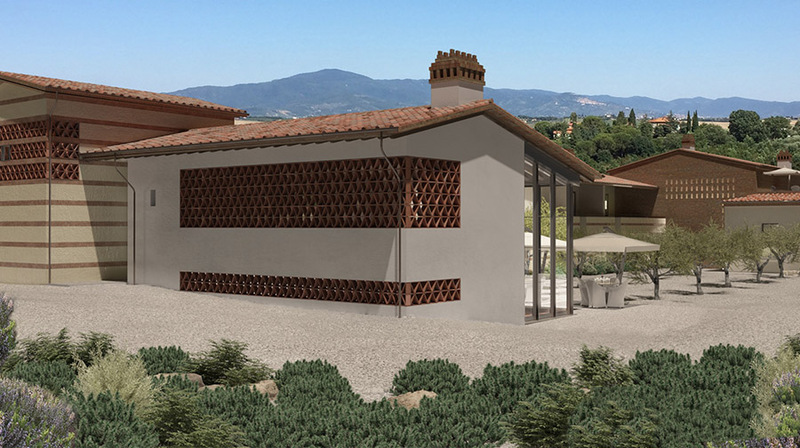 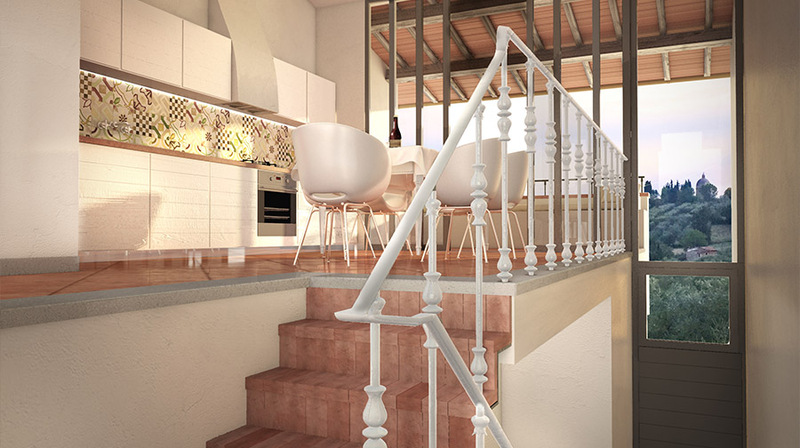 Designed with its roots in traditional Tuscan architecture and using local materials, however distinctly contemporary. 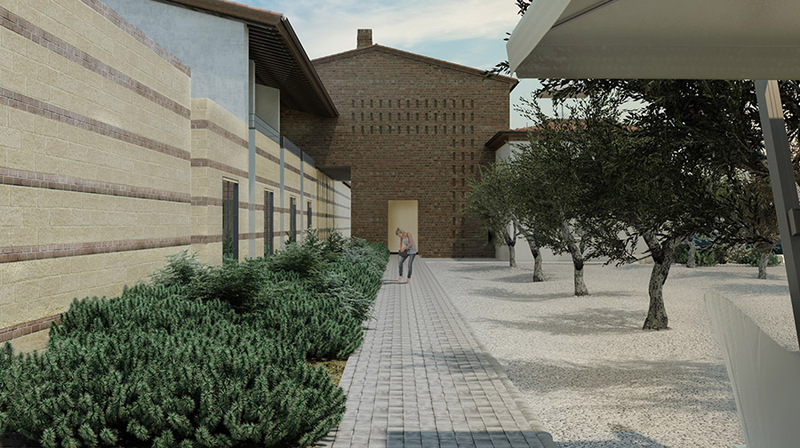 The project's key feature is 'the wall' a structure which holds together all the individual elements of the project starting at the entrance and ending in the communal pool.